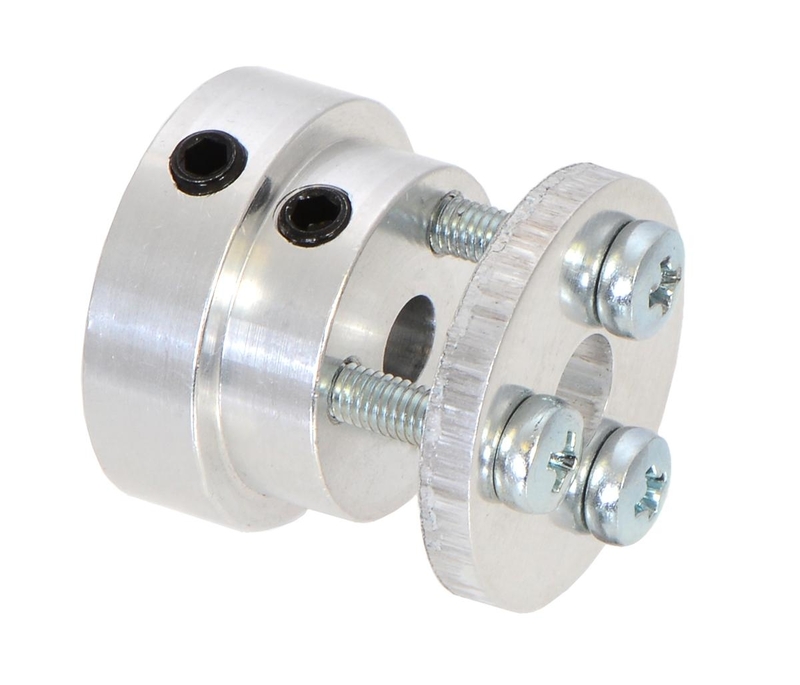 This compact aluminum adapter assembly makes it easy to use many common scooter, skateboard, and inline skate wheels with motors with 5 mm diameter output shafts (such as many of our stepper motors), enabling many more wheel options for your project. It works with most wheels that are compatible with standard 608 bearings. 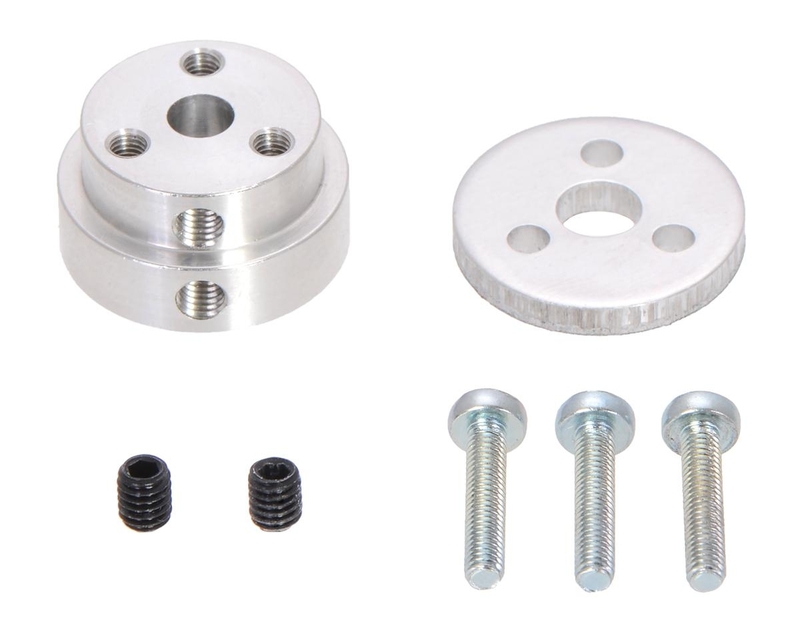 The adapter consists of two main components: a machined piece with threaded holes that mounts to the motor shaft using the two included M4 set screws, and a flat washer that clamps the wheel to the machined piece using the three included 14 mm M3 screws. 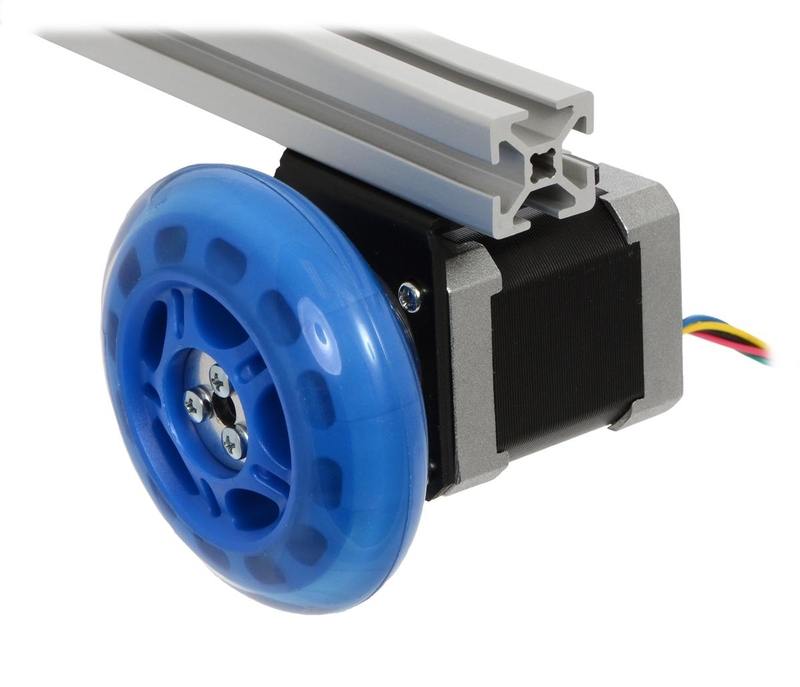 The washer has a hole in the center that allows the motor’s output shaft to optionally pass through for added flexibility in wheel placement on the shaft, and the low profile of the machined piece lets it work with wheels that have as little as 6 mm of space between where the 608 bearings normally fit. 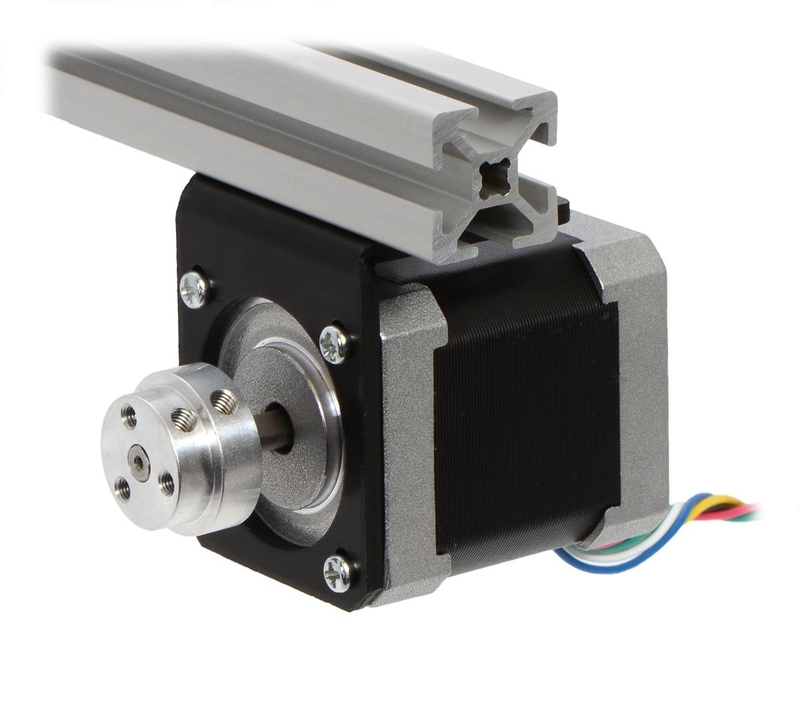 We also carry versions of this adapter that works with 4 mm motor shafts and 6 mm motor shafts.